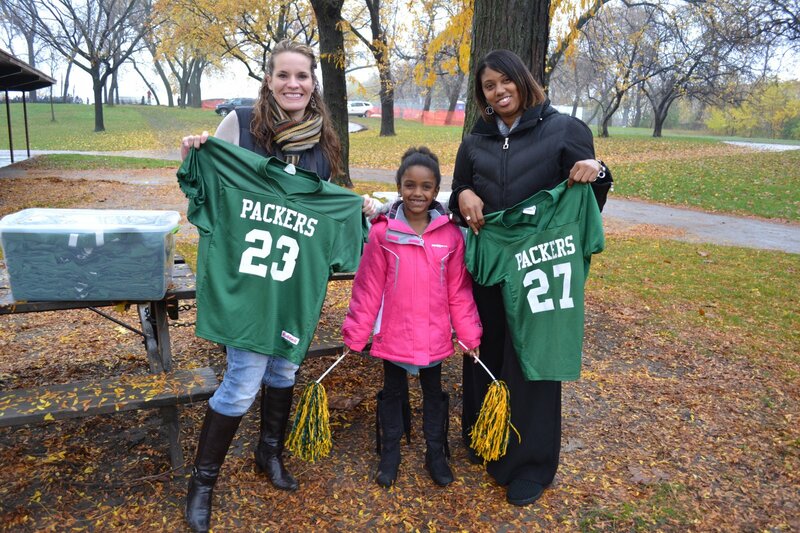 Future cheerleader Ahje Bethley, stands between Journey House volunteer parents Serena Rehka and Amorie Bethley. Photo by Grace Fuhr, taken October 23rd, 2012. All Rights Reserved.